As usual, TACA was a blur of constant activity this past year; helping families, building relationships, and expanding our community. This could not have happened without the fantastic people dedicated to the TACA mission. Thank you all. Since TACA’s beginnings 15 years ago, I have always sent out an end of year update. This year as usual, I would like to begin with a Jeff update—he is my TACA inspiration and keeps me going. He still loves to play the drums, ran and lettered in the school cross country team and plays golf. By far his favorite activity is going to concerts (6 concerts in 2015 and if he could do more HE WOULD) and movies with friends. His greatest strength is his ability to rise to meet new challenges with a smile on his face and a positive attitude every day Yes!! Every day! I am hoping someday to acquire this skill. Jeff has come so far since his autism diagnosis. The professionals had dismal predictions for the future. I’m glad to share we didn’t believe them and held onto our dreams for our son. He has worked very hard to overcome many obstacles. One important lesson remains: Our kids need us to never give up. I love TACA families because they have hope and believe in a future for our all of our kids. Chapters: Our volunteer chapter leaders and key volunteers brought TACA’s mission to their community. TACA held an average of 60 meetings & coffee talks per month across the U.S.
Over 5,000 attended free family events across the United States hosted by Chapters. We distributed almost 2,000 Autism Journey Guides–free to families. We educated over 1,100 families through free live webinars. TACA receives almost 90,000 unique visitors to our website each month. TACA provided over 200 medical, swimming, iPads, social skills, conference and other community based grants. 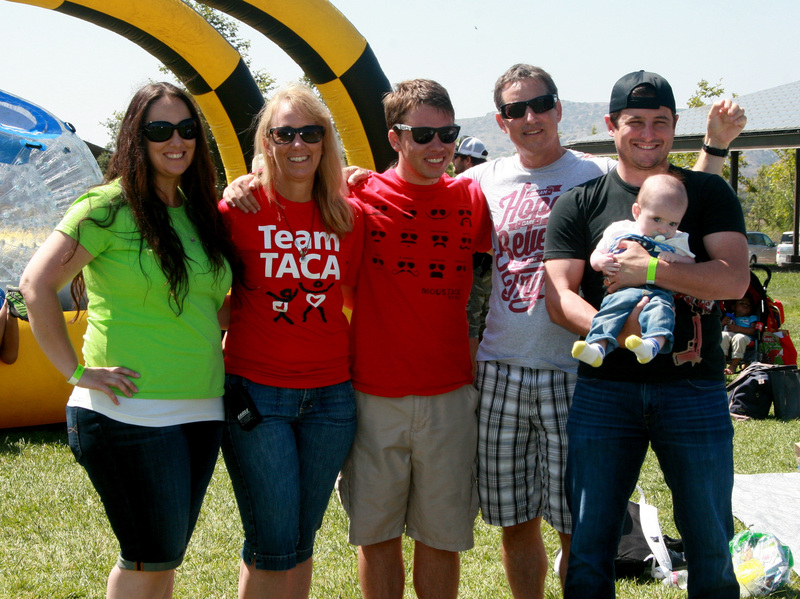 This year, TACA Mentors made almost 380 connections by supporting families needing assistance on their autism journey. Over 20 guest writers contributed to the TACAnow blog site. Over 4,000 Facebook, Twitter and Pinterest posts including TACA inspirational family stories, autism news, family-friendly and allergen-free recipes, tips, and TACA articles posted daily. This is only a portion of what TACA has accomplished in 2015. We will be publishing a full accomplishments report in January. 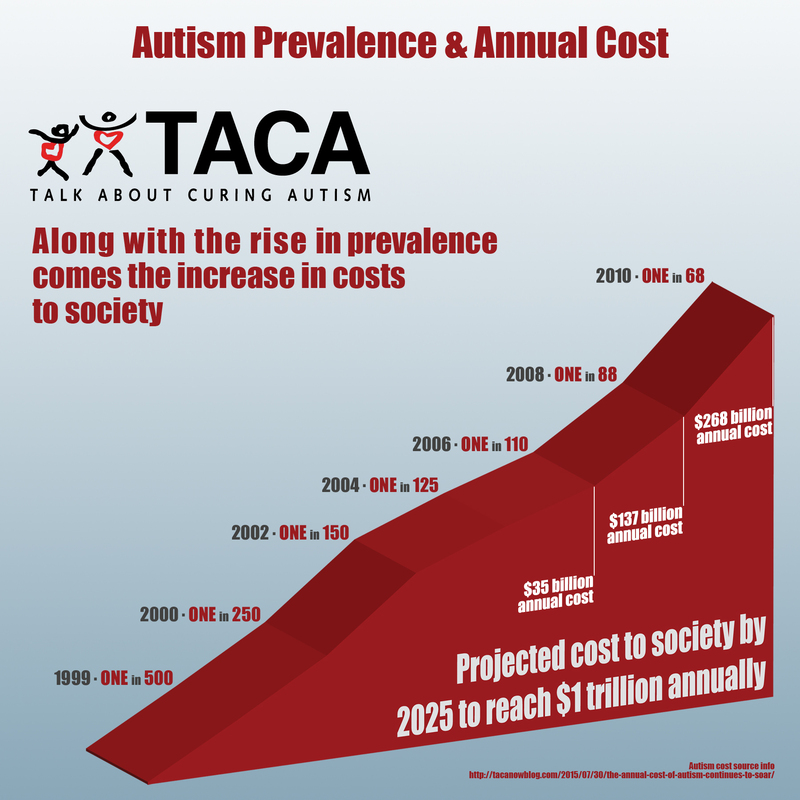 As 2015 comes to an end, TACA counts over 48,000 families affected by autism in its community. I know I have said thank you in general, but, I have some specific shout-outs for the TACA staff. Thank you to Jackie, Di, Tracey, Moira, Holly, Cindy, Janice, Nicole, Sim, Susan, Steph, Heather, Jacey and Ace. Thank you to the best Board who serve, guide and fundraise to help make it all happen (Glen, Pat, Dan, Elizabeth, Robby & Keith.) A special, heartfelt thank you to our INCREDIBLE Volunteer Chapter Coordinators and Parent Mentors who serve selflessly. You are core to our mission of Families Helping Families and ensure that our programs reach many in local communities. TACA would be lost without this incredibly dedicated team of over 500 volunteers providing Real Help Now. 2015 is our 6th year for TACA’s Ambassadors and Physician Advisory Team. They support TACA in their professional circle and talk about curing autism on a regular basis. These friends have made invaluable contributions to help champion the mission with webinars, conference lectures, donated appointments, helped raise much needed funds and giving much of their valuable time. 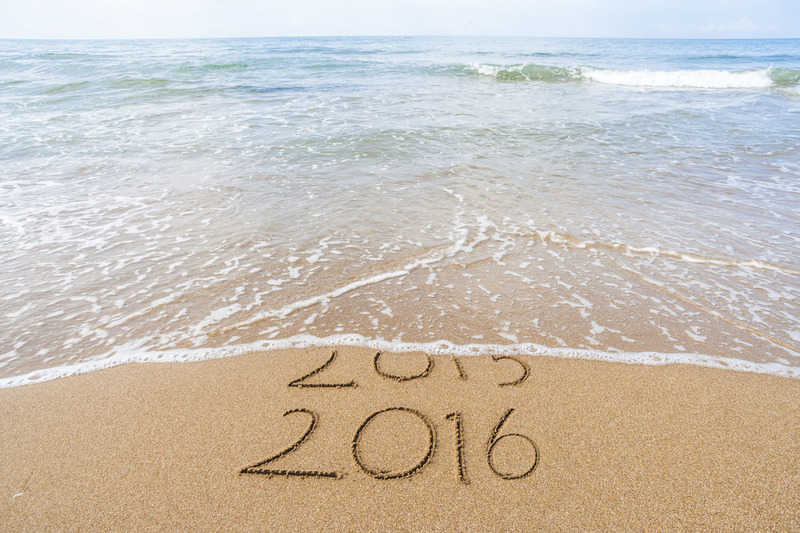 Much gratitude to the over 2,000 businesses and individuals that made donations in 2015. Our major donors include: Happy Family Brands, Jack FM/KROQ, OC Community Foundation, Wal-Mart Foundation, Kohls, The Hermann Family, Alderson Family Foundation, Bikram Yoga in Silverlake, Enzymedica & Autism Hope Alliance & Enzymedica, Volcom, Gladiator events with Dan “Nitro” Clark, Inhouse IT, InCloud IT, Midwest Insurance, Mendability, Hawaii Autism Foundation (Beautiful Son Foundation), The Carney Family, Elizabeth McCoy, Hawaii Hotel Industry Foundation, Microsemi, Ready at Dawn, Cellpoint, Jimmies Golf, Whole Foods, Pacific Life Foundation, Allergan Foundation, Miracle Foundation Fund, Aspiriant Holdings, Gupta Family Foundation, Ion Cleanse, Nourish Life, Operation Jack, A Ride for Autism, Master Supplements and countless others. To everyone who helped us financially, thank you for always believing and supporting our mission. And to TACA Families: we believe in you. We believe in your kids. Keep up the efforts because everyday you are step closer to healthier kids and your goals. We are proud of you! I hope you get an opportunity to check out the over 50 stories (with many more coming) on our 4th annual TACA Celebrations efforts where we celebrate our kids accomplishments over the last year. You can see these on our foundation Facebook page at this link: https://www.facebook.com/talkaboutcuringautism/. They are truly inspiring. The economy continues to affect TACA families and this foundation in a major way. Top that with autism is the least funded disability in America with the least amount of funding. As with all non-profits the economy has had an impact on donations. Despite this challenge, we have found ways to acquire help and continue providing our programs. We are always looking for more help for our mission. In closing, the hope I have for my child and all our children remains –together, we will work towards the future and create positive outcomes for all of our kids. Thank you for being a friend to families living with autism. P.S. We need additional support for 2015. If you have a friend that would like to make a donation in your family’s honor please help https://www.tacanow.org/ways-to-help/donate/.